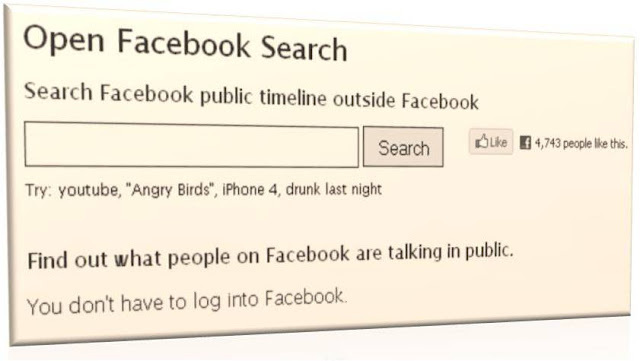 Did you know that you could search Facebook, without even logging on? There is a website which allows you to enter search words of your choice and you will get the result – but instead of just a list of profiles, pages and groups you will get comments instead. So, if you want to know what people are saying about any subject at all (and remember they do not have to be your Facebook friends) then you can use the Open Facebook Search to find the results that you want that the website does not want to give.